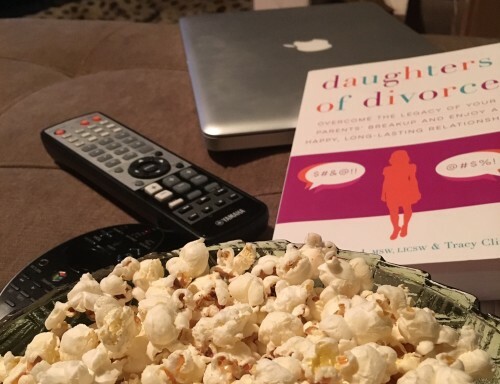 As a child of divorced parents, the book, Daughters of Divorce, Overcome the Legacy of Your Parents’ Breakup and Enjoy a Happy, Long-Lasting Relationship, was intriguing to me. So when Terry Gaspard sent me a copy, I was excited to dive in. Daughters of Divorce is an easy-to-follow resource for women navigating relationships after a trying childhood. The beginning features a personal introduction and overview of what’s to come, and each chapter focuses on a step in the process of repairing old damages and enjoying positive romantic relationships. Throughout the book, the authors cite studies from known researchers including Judith Wallerstein, Constance Ahrons and Mavis Hetherington, to name a just few. This information is further illustrated as it’s coupled with real-life examples from interviews with women from divorced families. The chapters conclude with a list of action steps as well as a personal note from both Terry Gaspard and Tracy Clifford. I found the book to be informative and engaging… and, truth be told, I also felt a little apprehensive as I turned the pages. The premise of the book is that those of us who come from “broken homes” have suffered and are in need of assistance in order to have good relationships. But, as you probably know, I think my parents’ divorce was a positive event in my life and I’m a better person for it. My ego doesn’t like to entertain the idea that I might be damaged. Nevertheless, I approached each chapter with an open mind. After all, I often read books about other people with other problems, and I learn a lot from them. Besides, Divorce is my passion, so it makes sense for me to learn all I can. As it turned out, I did learn a lot. And when I recognized myself within the pages (mostly the sections dealing with independence and vulnerability in relationships), it was just that: recognition. I identified with the women who shared their stories for the book. I didn’t feel judged. I felt understood. In the end, I’m glad this new resource exists. I think all adult relationships are impacted by issues from childhood (regardless of Mom and Dad’s martial status), so children of divorce aren’t the only ones who need guidance. However, due to the extensive studies about divorce, you could say we’re among the luckier ones because Daughters of Divorce exists to serve us. Posted in children of divorce, media and tagged children of divorce, daughters of divorce, divorce. Thanks for the review, Tara. This one is one my list to read as well. Terry is a fellow Divorced Moms writer, too. Your review is very thoughtful. Thank you 🙂 This one has gotten many positive reviews.